Following now abandoned discussion about removing his image from the ten-dollar bill, Alexander Hamilton, thanks to the eponymous hit musical, is vying for focus of the nation’s seriously handicapped attention span. 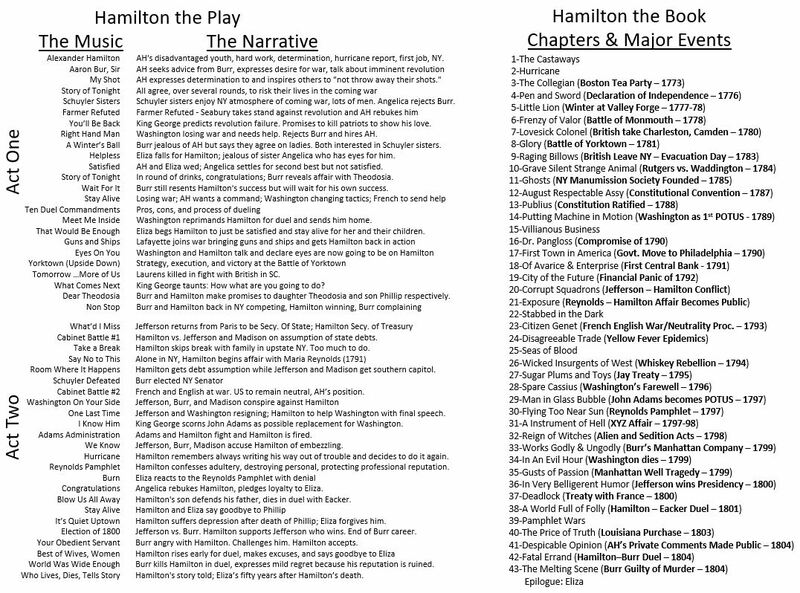 Hamilton was inspired by and based on Ron Chernow’s 700 plus page biography, Alexander Hamilton (2004). Always lagging current trends, my radar detected the Hamilton frenzy only three or four months ago. I ordered a hard copy of the book from Amazon March 29th and spent two months reading it, an average of about 12 pages per day. I believe Mr. Chernow could have told the story more effectively with a lot fewer words, some intra-chapter headings, and a better index, and wish he had done so to attract more readers. But, I thoroughly enjoyed the book which deepened my understanding of the issues faced by the founding fathers after pledging their lives, their fortunes, and their sacred honor. Those mandated high school American History classes are fine but only scratch the surface of the full story. I haven’t coughed up the thousand dollars or so for airline, hotel, food, and ticket expense to see the play on Broadway, but bought the album on iTunes and downloaded the lyrics and have been spending some time listening and reconciling the musical with the book and the history. For me, it would be a waste to see the performance without some familiarity with the story and music. I’d be sound asleep. When Hamilton eventually shows up on tour at the Koger Center in Columbia SC with ticket prices somewhere south of $100, I’ll be there. The music and lyrics, even with rap, are captivating for anyone interested in the story. 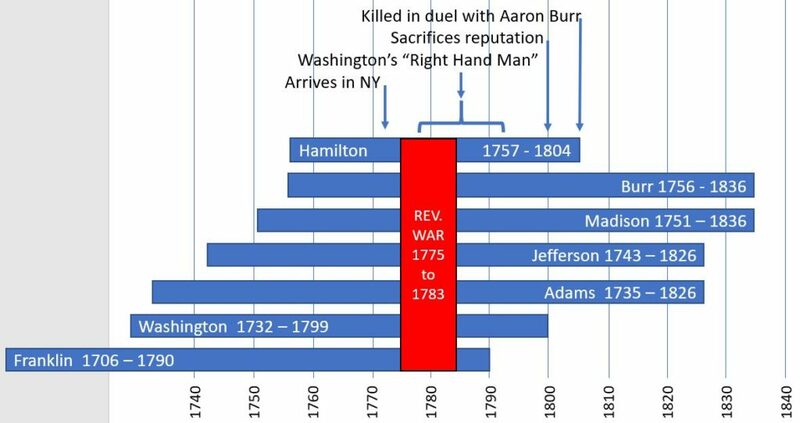 Hamilton was the premier federal government policy wonk in America. We can all be thankful that he was present at the founding and had intelligence, persistence, and understanding of national issues and the full confidence and support of the number one guy in war and peace, General and President George Washington. Hamilton was a lonely “big federal government” advocate and had to compete with Adams, Jefferson, and Madison for the support of Washington. The political struggles over payment of war debts, founding of a national bank, location of the national capital, enforcement of tariffs, establishment of the Coast Guard, Navy, and Army, management of relationships and treaties with England and France, and the incongruity of legalized slavery in a nation with founding documents promising equality and freedom make fascinating reading and are reflected in the same issues the USA faces in the 21st century. Even a small federal government advocate can be thankful that Hamilton’s plans resulted in a nation that could, in the 1940’s, marshal strong, high tech, global military forces in a short period of time and, following the “Day of Infamy,” did not have to depend of hundreds of “well-armed militias” packing heat for defense against the Japanese military forces. What is unfortunate is that the strong federal government he advocated and established has expanded beyond its chief functions of preserving, protecting and defending to patronizing and promoting dependency and now tries to manage and fund, with borrowed money, even our educations, physician relationships, and grocery purchases, enslaving us, in the process, to crushing debt. Hamilton would be disappointed. 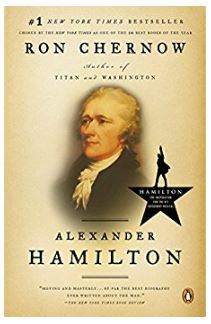 Hamilton had a gift for and loved writing and was chief author of The Federalist Papers and of numerous essays on national and personal issues, many pseudonymous. In both written and oral communications, he was, it seems to me, verbose and boring, taking a long time to get to the point. But times were different, and he didn’t face the short attention span problem we have today. One place he excelled was in eloquent expression of love to his wife, Eliza, and, unfortunately, to Maria Reynolds, the woman with whom he had an extended affair. He had no need of Washington’s support in building such personal relationships. 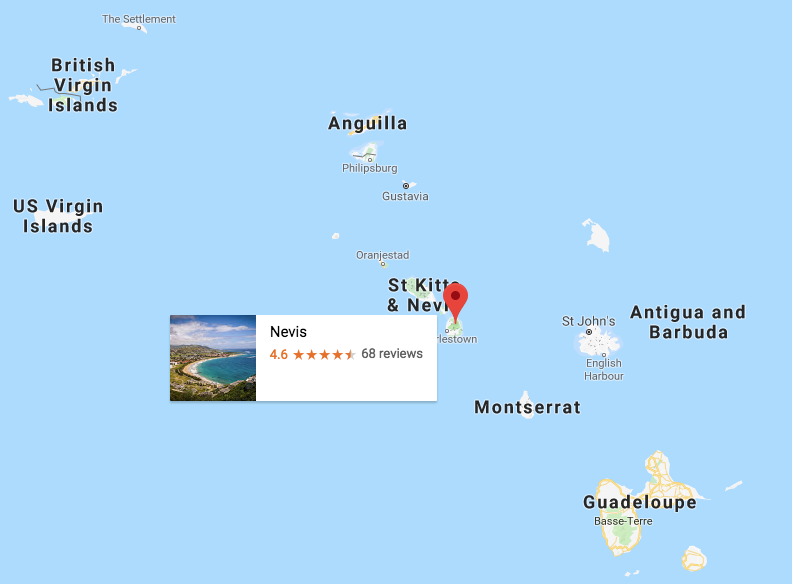 Nevis, Birthplace of Hamilton (Image from Google Maps) – No evidence in travel guide that Hamilton’s birthplace is featured! 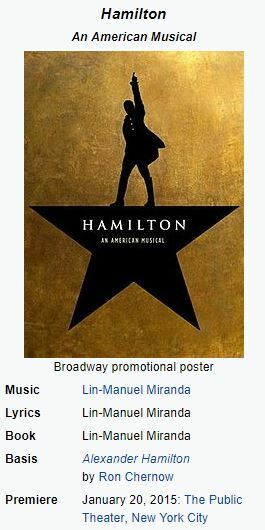 Who is Lin Manuel Miranda?